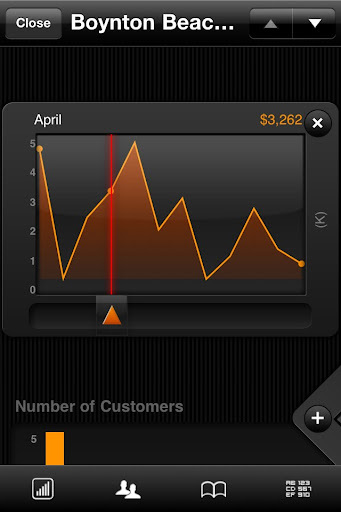 I believe that this was ROAMBI: a data visualization app. They do have beautiful visualizations for both iPhone and iPad. I found interesting and playful the way the layered information on the graph. 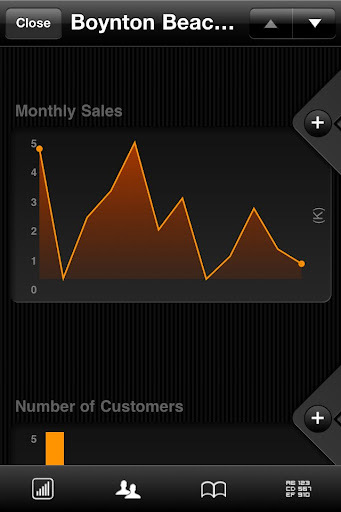 If you click on the plus icon on the right the visor will animate and till overlay the graph showing and interactive slider and the related numeric data. I think this is an elegant and clever idea. In the latest release of this app they seem to have remove this functionality. My guess is that they didn't see the need of having a view without the overlay, which now shows all the time.